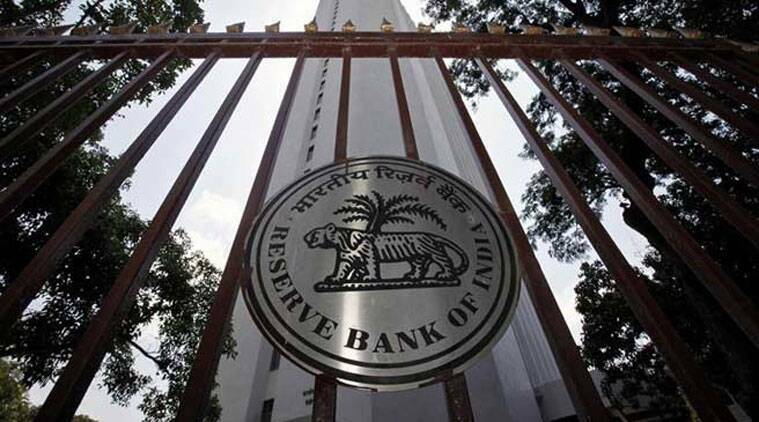 The Reserve Bank of India was of the view that the operation was linked to agriculture, and that the central bank should be kept out of it. In the mid-1990s, after public outrage over a series of scams featuring companies that had raised crores of rupees and defrauded gullible investors attracted by high returns in dubious schemes, pressure mounted on the government to act. A series of ponzi schemes, many of which were linked to plantation schemes, including teak plantations, promised investors very attractive returns. In one such scheme, a company called Anubhav Plantations promised high returns by planting teak on over 1,000 acres of land — drawing in investors who put in over Rs 400 crore. And as the funds swelled, the promoters of many of these schemes diverted the money and vanished, leaving investors holding worthless pieces of paper. With growing protests, the government convened meetings in Delhi to address the challenges arising out of this situation — only to find a blame game going on between the Department of Company Affairs, which has oversight over unlisted companies, and regulatory agencies. Until the time these scams happened, the Department of Company Affairs had guarded its turf well. But when the problems began, the Securities and Exchange Board of India (Sebi) argued that these companies were more in the nature of Non Banking Financial Companies (NBFCs), which were raising money from investors. The Reserve Bank of India was of the view that the operation was linked to agriculture, and that the central bank should be kept out of it. Policymakers then thought of Nabard as the agency to supervise these schemes, but quickly abandoned the idea. Senior officials of the Finance Ministry then settled for the Department of Company Affairs as the competent authority to oversee these investment schemes. Regulatory overlaps — some of which still exist in the Indian financial sector — helped these companies prosper in the 1990s, and until much later. Officials recall now that after being put off by attempts at passing the buck in 1997, the Finance Minister decided to mandate Sebi to regulate these schemes. That was also the time when investors had been short changed by fly-by-night operators, who had raised money through public offerings made by their listed firms. After Sebi was mandated to regulate these collective investment schemes, or CIS, as they were called, regulations kicked in in 1999. Companies that had launched such schemes were told to register with the new regulator, or to repay their investors. By 1998-99, over 600 firms had collected over Rs 3,500 crore through collective investment schemes, according to Sebi’s estimate. What is interesting is that when Sebi and the Department of Company Affairs (now known as the Ministry of Corporate Affairs) issued advertisements telling investors to come forward with details to help them recover money, very few responded, strengthening the feeling that many of these investors in collective investment schemes were those with unaccounted money. What made it tougher for the regulator was the stance adopted by many of these companies: they continued to raise money, arguing that their schemes were not collective investment schemes. Jurisdictional issues were raised, and the regulator had to face legal challenges too. The classic case was that of Pearls Agrotech Corporation Limited, or PACL, which, according to Sebi, had collected Rs 49,100 crore from 5.85 crore customers over 15 years by offering investments linked to agricultural land and its development over a certain period of time. The company challenged Sebi in court and, finally, after the way had been cleared for the sale of the company’s assets, the regulator imposed a penalty of Rs 7,269.5 crore on PACL for what it said was the illegal and fraudulent mobilisation of funds from the public — the highest penalty in Sebi’s history. The regulator had acted against PACL as early as in 1999, but the company had challenged the capital market regulator’s rules, and its decision to classify PACL’s scheme as a ‘collective investment scheme’. In 2013, it was déjà vu after thousands of investors lost money in the ponzi scheme floated by the Saradha group in West Bengal. Yet again, this was a case that was flagged earlier, but the crackdown didn’t happen until after multiple suicides by investors who had lost all their savings. This prompted the UPA government to introduce a law to empower Sebi to act against these companies. An ordinance was issued in July 2013, and re-issued in 2014 as the Securities Laws (Amendment) Bill 2013 couldn’t get approval initially. Sebi was then empowered to attach the assets of such companies, and also equipped with powers to order search-and-seizure operations. The last instance of the change in law is a reflection of the manner in which India’s regulatory architecture has been constructed. The securities scam of the early 1990s forced the government to ensure that Sebi was made the statutory regulator of the capital markets. Years later, after a turf battle between Sebi and the insurance regulator, Insurance Regulatory and Development Authority, or IRDA, an oversight body, the Financial Stability and Development Council, or FSDC, came into existence. And when the scam in the commodity market featuring the National Spot Exchange Limited (NSEL) shook the markets, the government went ahead and proposed the merger of the commodity market regulator, Forward Markets Commission, or FMC, with Sebi — which becomes effective today. 1 Some Nagas are against memorial to Rani Gaidinliu in Kohima. Why?